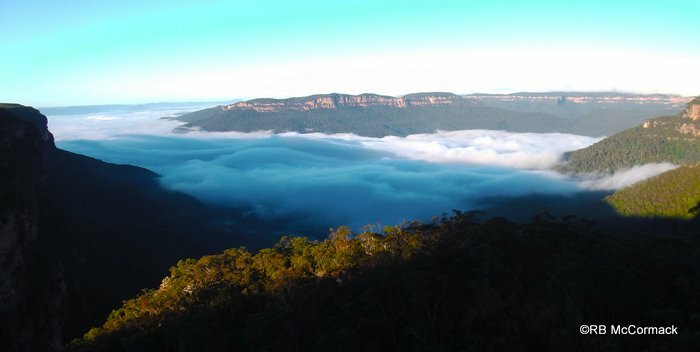 A quick survey of some of the mountain streams in collaboration with Blue Mountains City Council proved most enlightening. 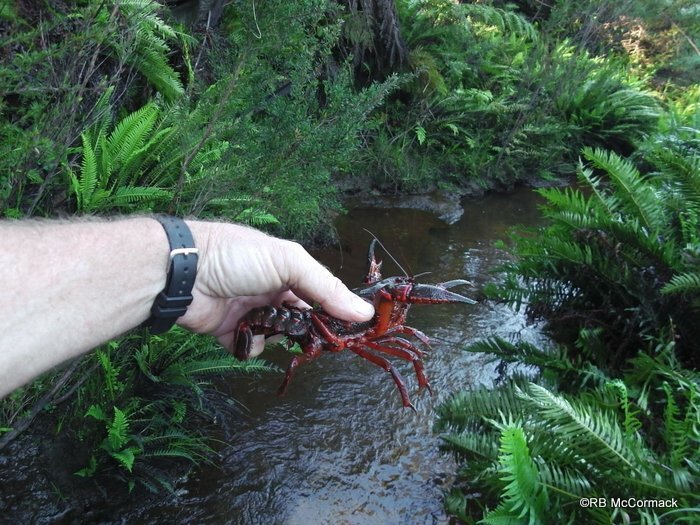 The local streams draining through suburban areas seemed to have abundant numbers of freshwater crayfish and fish. 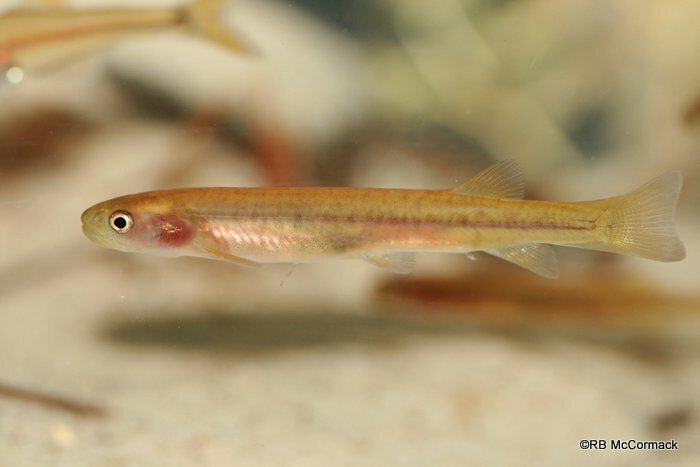 We were very satisfied with the aquatic health of the streams we surveyed and following is a precis of the main species we encountered in abundance. Euastacus spinifer is a Giant Spiny Group Crayfish was abundant in the Wentworth Falls area. They are a giant species that grow to a huge size of 1 kg or more and can have spectacular colours. The adults prefer the permanent clear flowing sections of streams and rivers and are active both day and night and can generally be seen wandering the creeks during the day, especially mid-afternoon onwards. In the clear mountain streams if you are quiet and patient you will see them wandering along the creek bed forever in search of tasty morsels. Also in the same stream were large numbers of native fish. 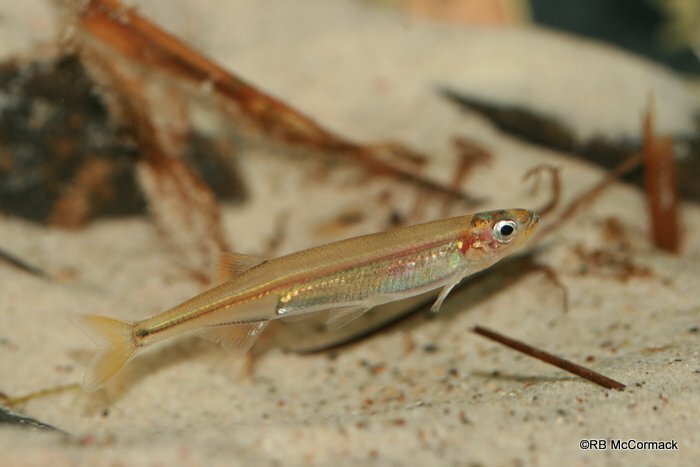 Both the Mountain Galaxias Galaxias olidus and the Australian Smelt Retropinna semoni were abundant in the streams with schools of 100 fish very common. Just wondering if these surveys have been done just recently, and in Jamison Creek in particular? 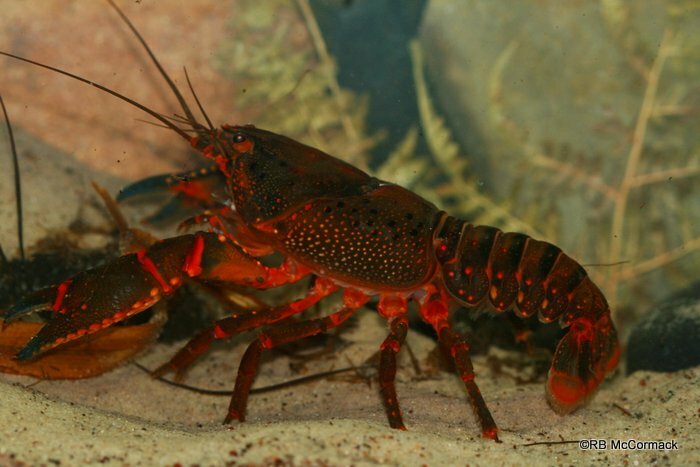 I’m interested in whether the crayfish and fish stocks have recovered since the contamination incident last year?